New Yorkers have a little swagger when it comes to bragging rights over pizza. 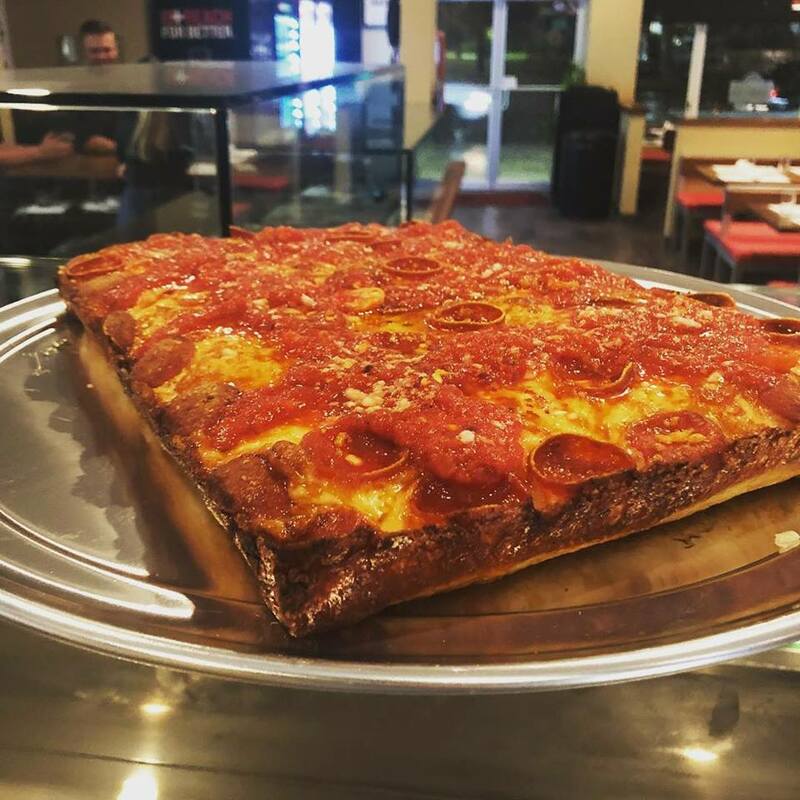 But Detroit-style pizza, the classic square pies served at places like Buddy's and Loui's in Hazel Park, is attracting a following in different -- regions including at the relatively new Donatina Neapolitan Pizza Cafe at 18 W. Ave. in Patchogue, a village on Long Island's south shore. Donatina bakes Neapolitan-style pizzas in a wood-burning oven, and also has traditional New York slices, Chicago pan and Detroit-style pizza. Owner John Peragine tells The 495 Podcast that the Detroit-style pizza is creating a buzz. “We are selling more of the Detroit than our regular New York slices,” he says.